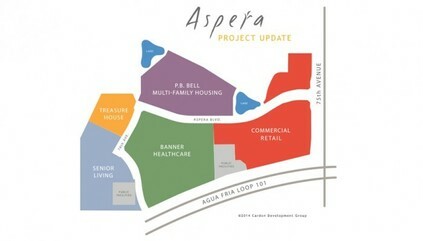 ​The community of Aspera will bring a blend of professional services, housing options, and retail uses that will serve and support the Arrowhead area. It will include Banner Health medical offices, Mountainside Fitness, a 120-unit senior housing complex, an assisted living complex, retail, restaurants and luxury multifamily housing. 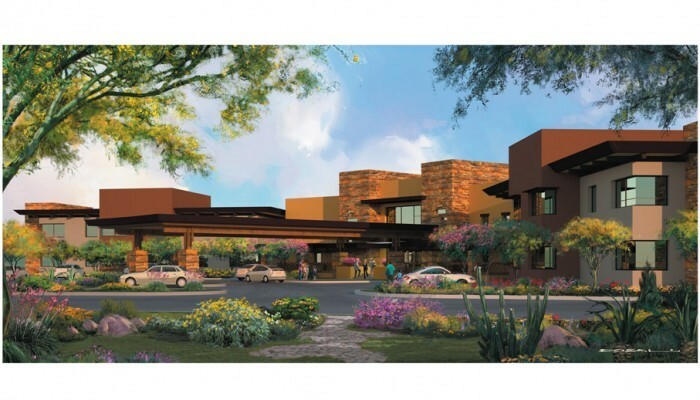 It also will have a residential facility for adults with intellectual and developmental disabilities, called Treasure House, which is being built with help from former Arizona Cardinal Quarterback Kurt Warner and his family. A K-12 school, a preschool, and memorial gardens are a part of the original campus.